We’ve all been there. We give a presentation or make a sales pitch and the moment we’re done talking the audience forgets everything we’ve said. It’s frustrating! The good news, it’s not difficult to change. So what’s the easy way to make sure people will always remember our message? Storytelling. Storytelling has been used to transfer knowledge since the first campfires. Our minds are naturally wired to remember things and feel connected. This is why the best communicators use stories to spread their messages. In this first part of our series on storytelling we’re looking at why we respond to stories and what makes them so easy to remember. We’ve used stories for thousands of years to pass on knowledge from generation to generation. For a long time this was the only way to share our experiences. Even after books and scrolls became a big deal, the skills to read and write were not widespread for many hundreds of years. Storytelling was always there to get the job done. Beyond our natural evolution of remembering stories for survival, humans function as social beings and need to feel connected. 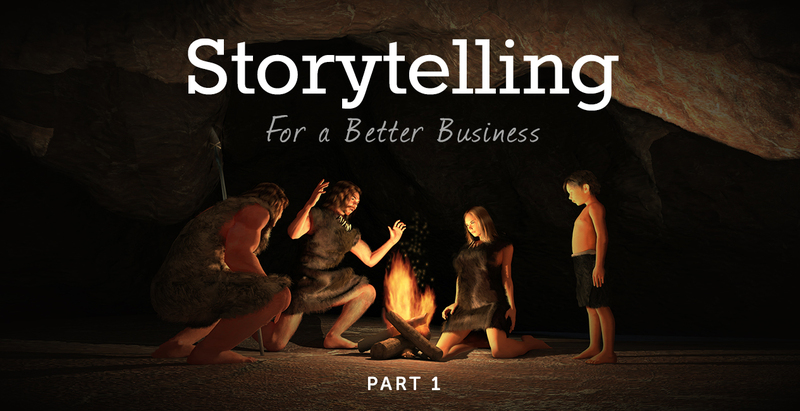 Stories create a bond with the storyteller. We feel a connection as they share experiences from their own life. This has a lot to do with how a well told story effects the release of chemicals in our brain. and finally project feelings of optimism and hopefulness. This creates a powerful memory connected to our feelings. It works best when the story focuses on just one important concept for the emotional link. So how do we tell a story? It’s actually quite easy to tell a story. We do it all the time, often without even realizing. Think about how we might share an idea with a friend by relating it to an experience in our own life. Tell that story and people will form a connection with you and, as a result of that connection, link it to the new information you shared. For even more great resources like this, subscribe to our newsletter below.